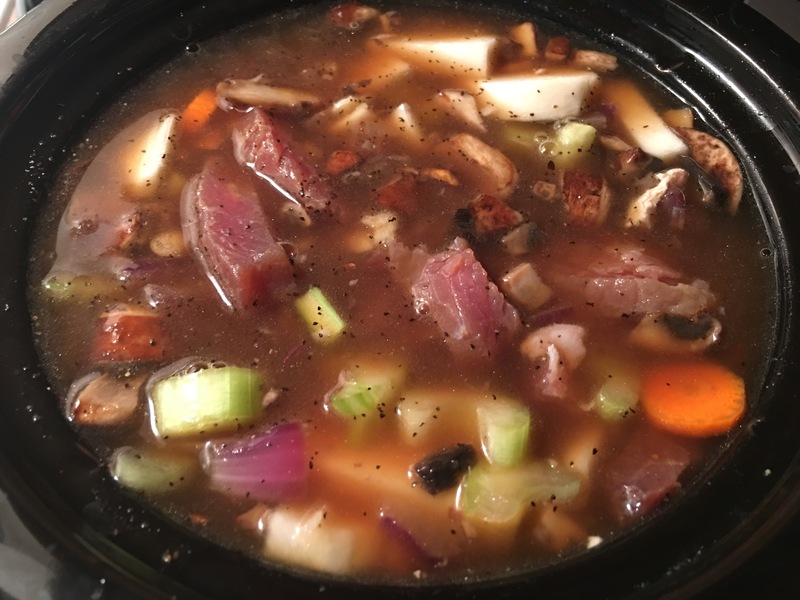 Beef and vegetable crockpot soup for two! – Hurried Home Chef! 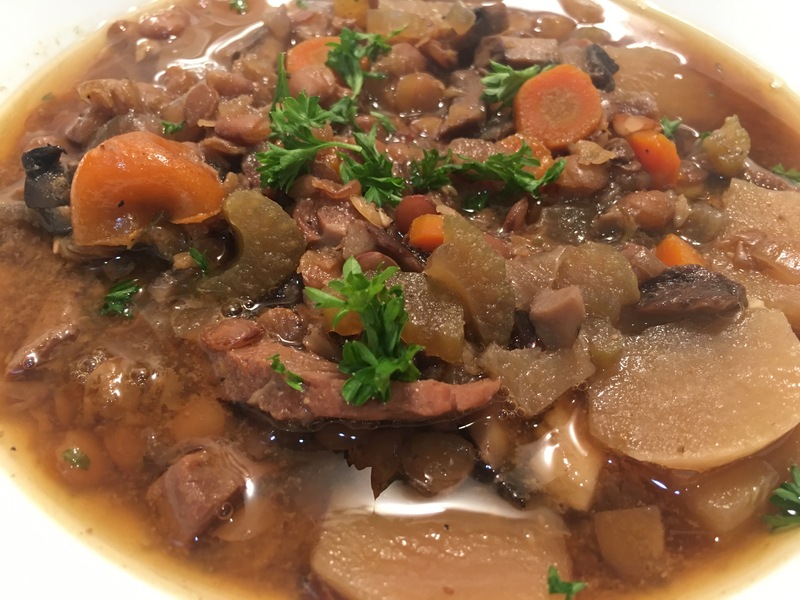 Beef and vegetable crockpot soup for two! I found the cutest little crockpot that is a 1.5 quart. This is much more practical for a couple to use so there is not a ton of leftovers. 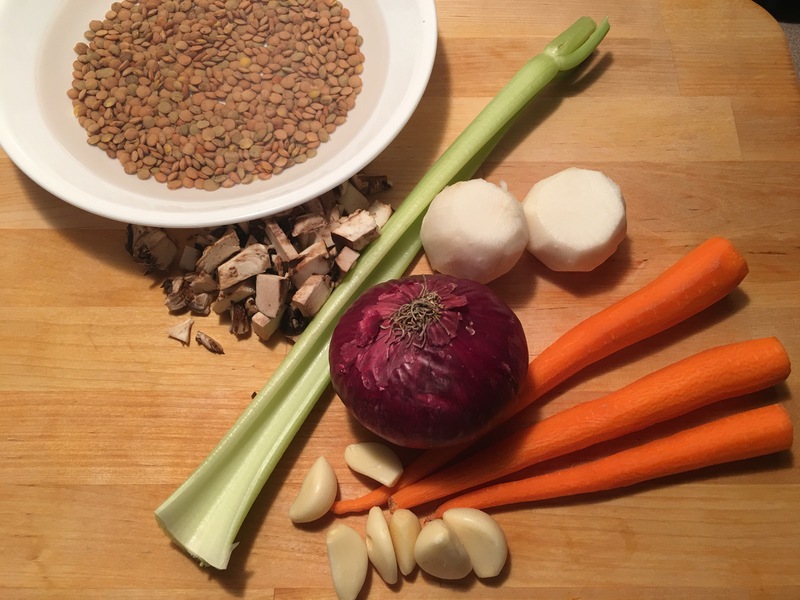 I start with some simple ingredients. 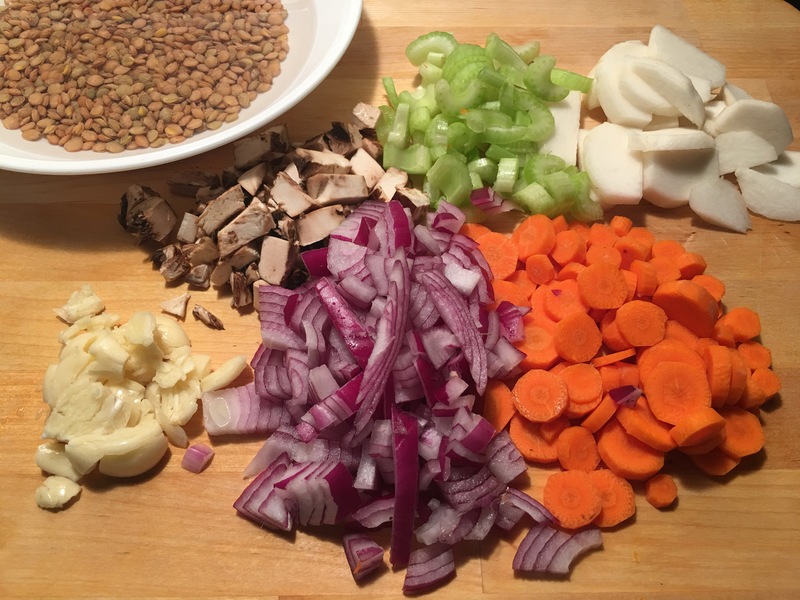 I have soaked the lentils for about 2 hours. Give it all a dice, then I browned the onions, half the garlic and the mushrooms. While I put the stock, lentils, carrots, pepper, and celery in the crock pot on high. I had an extra piece of steak already marinating so I cut it into strips. 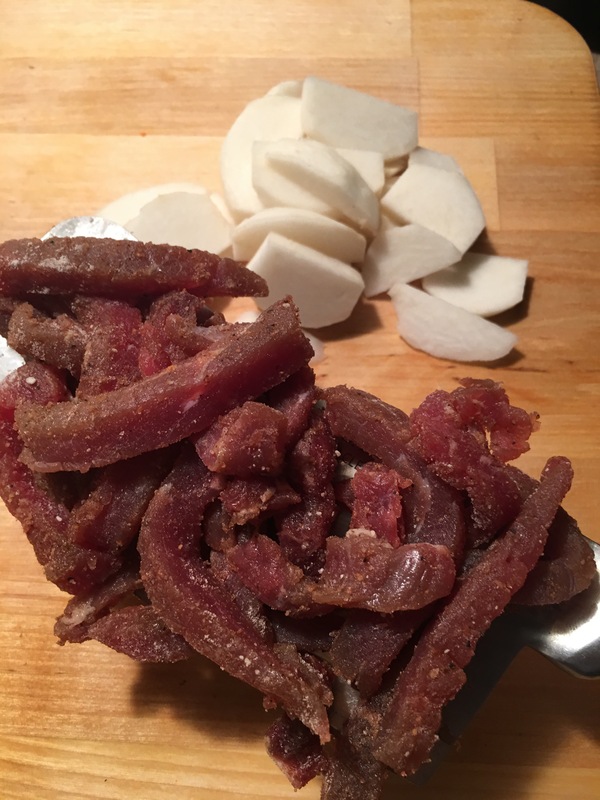 After I browned the onions and mushrooms, I put them into the pot and then tossed steak with a little flour and added it with turnips into the mix. Left it on high for 3 hours then low until we ate. Or low for 6 hours. It was pretty full but the cover fit well and that’s all that matters! I topped it with a little fresh parsley. This would be great with a nice crusty Italian bread. Next Post Chicken breast dinnersfor two–three ways…Cuban, Latin, and Italian style.